There are four major NCOA benefits. NCOA services improve delivery rates in three important ways. First, they provide new addresses for moves within the last 48 months. Having an updated mailing address helps you ensure more of your mail pieces reach their recipient. Second, they identify other move data, which helps you avoid sending mail to a vacant, invalid, or just plain wrong addresses. Third, NCOA standardizes all of your addresses to meet USPS mail standards. This makes it easier for the post office to deliver the mail. Returned mail can be an expensive double whammy. Any mail that’s returned to you is money lost on wasted postage. It costs a few cents here and there if a few mail pieces get returned. But, the cost of wasted postage can pile up if entire segments of your mail campaign are getting returned to you (remember… 12% of Americans move every year). Too much returned mail can result in fines from USPS. Using an NCOA service helps you meet the Move Update Standard, qualify for bulk mailing discounts, and avoid unnecessary fines. Between wasted postage and penalties, an NCOA process can save you up to $0.44 per bad address! Imagine that you have a mailing list of 1,000 donors. 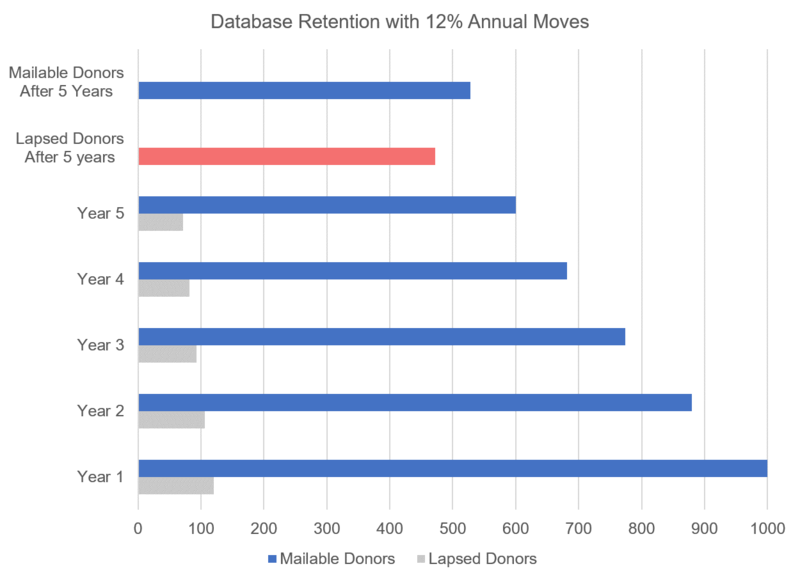 If just 12% of those donors move between mailings, that's 120 donors you'll lose touch with. That's 120 lost engagement opportunities, 120 gifts you never asked for, and 120 stamps you didn't need to buy. 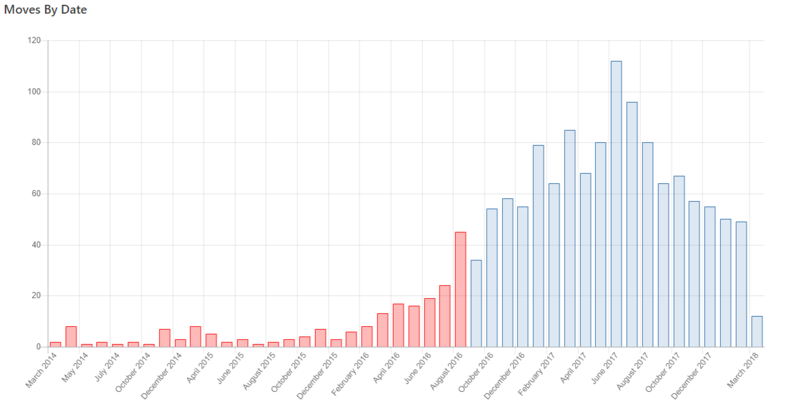 Check out the table below to see how quickly that impacts your fundraising. 12% of Americans move each year. Here's how many donors you might miss without NCOA.